Arrived on time. Happy with sdrvice. Very nice technician Jose. Very knowledgeable. I have used Home Paramount's services for more than 10 years. The employees who have inspected my home have always performed in a courteous, professional and helpful manner. My requests, questions and concerns were responded to promptly. Pauline in Fairfax. John is the best! Always fell confident in your services when he comes to the house. An outstanding technician. Knows his business and is very professional. Thank you, John. Excellent service. Provided good advice and offered great solutions to our pest problems. We had a complete insulation removal and they replaced it with their product. The job took several days. The entire crew was professional and informative. I highly recommend their services. Have always responded to any issues we have experienced. We are pleased with the service that Home Paramount is providing. They respond promptly to do whatever pest control is needed and they have a reliable program to keep the house and property pest protected during the year. Absolutely excellent service from Rey who works from Fairfax. A very valued employee. We always receive excellent service from Home Paramount! We've had them for years and their representatives and service folks are awesome! We highly recommend them. Hi. Our technician was excellent! Excellent customer service and he spent a great deal of time with us. Please send him back every time. And I believe our ant problem has been resolved. Thank you! For the first time in 3 yrs, the tech has successfully rid our house of ants. They’ve been here many times, but with no change. I finally got appropriate attention and am thrilled. Leave adequate notice when coming; technician on time; explain what has been done; make suggestions; easy billing. This spring was a wet haven for mosquitoes here in Fairfax, Virginia. Thanks to Home Paramount however, we and our whippets are able to play with impunity in our wooded backyard. We have had multiple problems with Home Paramount over the years with our various agreements for termite control, snake abatement and pest control, however, right now, with a new manager, Justin Pillow, things seems to be running well. Thank you. 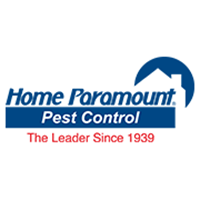 Home Paramount has been my pest service company for the past 20 plus years. They do a great job and the customer service is great! Always prompt and great customer service. The technician is always courteous and efficient. You are getting better would like to have the same person come spray my house more than once. Pleased with service, but they are having difficulty in calling first, per our request. They just schedule the service. It's annoying. I was approached lately to switch to another provider but Home Paramount service has been professional and the technician didn't just run around the house as fast as he could so he could move on to the next job. In the past the techs seem to have gone faster than they should have but the last few service trips the techs have been very good. I did have to call to find out if my termite protection was checked. There was no note or email verifying that the service was completed. When I called I got prompt answers but earlier notification would have been appreciated. Treatment plan has reduced mosquito population on our property as we had hoped! They are always attentive and willing to come back at any time to address persistent pest control issues. There were some communications issues initially, but were resolved. There was a car in the driveway, the technician could have rang the bell. Great technicians providing great and timely service. Always great service! Never see bugs anywhere in my house. Technicians are amazing! Kind and courteous. Reymond has been amazing and has really taken care of us with a rodent problem we had recently. Highly recommended. Home Paramount should call the customer to make an appointment to come into the house for inspection rather than leaving a note to call you after the outside inspection is complete. Service is good and effective. I would like to see some continuity in service techs. Seems like I am orienting a new one each quarter lately.